If you haven’t already guessed, we here at SAHM are suckers for anything with condensed milk. It is nectar from the Gods!!! This condensed milk tart is super easy and great to make if guests rock up unexpectedly. If you haven’t already guessed, we here at SAHM are suckers for anything with condensed milk. It is nectar from the Gods!!! This condensed milk tart is super easy and great to make if guests rock up unexpectedly. In a metal bowl, pour the condensed milk and add the juice of a whole lemon. Mix well with a wooden spoon - the mixture should get very thick. 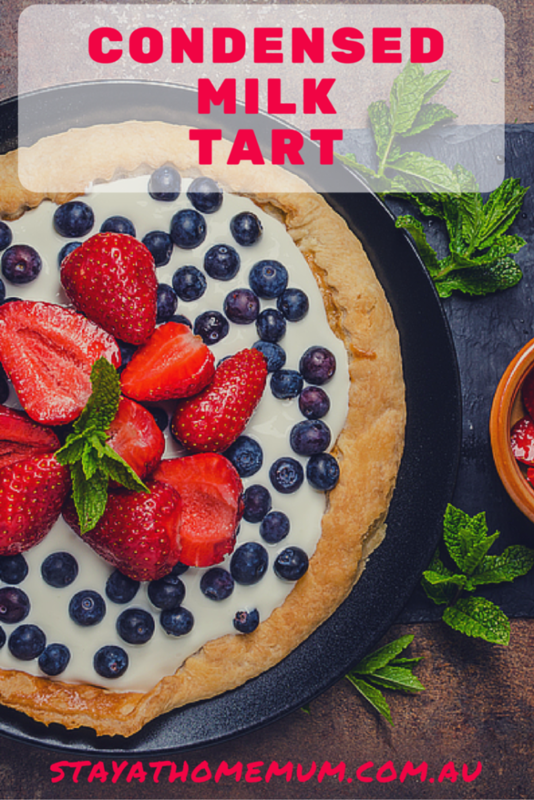 Pour into a room temperature pre-prepared tart shell and refrigerate until required.